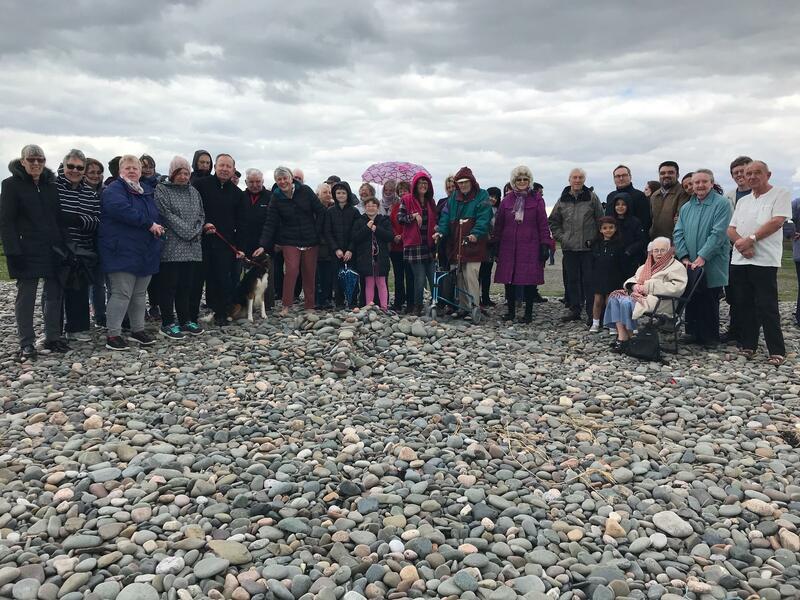 Rosary on the Coast | The Parish of "Our Lady Of Furness"
On Sunday 29th April, over 50 hardy parishioners and friends (including two 4-legged ones..!) braved the elements to meet together on the beach at Sandy Gap, to pray the Rosary. Father Manny led us in praying the Glorious Mysteries of the Rosary, as we joined our prayers from Walney Island, with those of the many faithful also gathering around the coast line; from Essex to Devon and Kent to Dumfries and Galloway.